If you're a gamer this will probably come as no surprise – new research has suggested that playing videogames can have a positive effect on the way your brain works. But do five minutes of research into how videogames affect the brain and you'll find a million different answers, many of them sensationalist newspaper articles without much scientific merit. "Games have sometimes been praised or demonized, often without real data backing up those claims." says Marc Palaus, author of a study published in Frontiers in Human Neuroscience that summarises the current state of the research on the subject. "Moreover, gaming is a popular activity, so everyone seems to have strong opinions on the topic." Palaus and his colleagues hunted for trends in a collection of 116 scientific studies, 22 of which looked at structural changes in the brain and 100 of which looked at changes in brain functionality and behavior (some looked at both). They found broad consensus that videogames change how our brains perform, even their structure. Some studies found that gamers have better sustained or selective attention. Others found that the brain regions involved in attention were more efficient in gamers, and require less effort to sustain attention on demanding tasks. There was also indications that the gamer brains had regions related to visuospatial skills that were both bigger and more efficient. In one study, the right hippocampus was enlarged in both long-term gamers and volunteers who followed a videogame training programme. However, it's not all good news for gaming. "Internet gaming disorder" has been proposed, but not yet accepted, as an official mental disorder by the American Psychiatric Association. Researchers test for this by exposing people to the gaming cues that cause cravings and monitoring their neural responses. 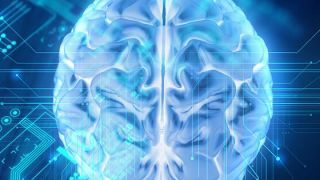 Scientists have found that those diagnosed with this form of addiction have similar structural and functional changes in the neural reward system to those seen in other addictive disorders. Palaus says that this work is only preliminary as videogames are still a fairly new phenomenon. "We focused on how the brain reacts to video game exposure, but these effects do not always translate to real-life changes," he said. "It's likely that video games have both positive (on attention, visual and motor skills) and negative aspects (risk of addiction), and it is essential we embrace this complexity."